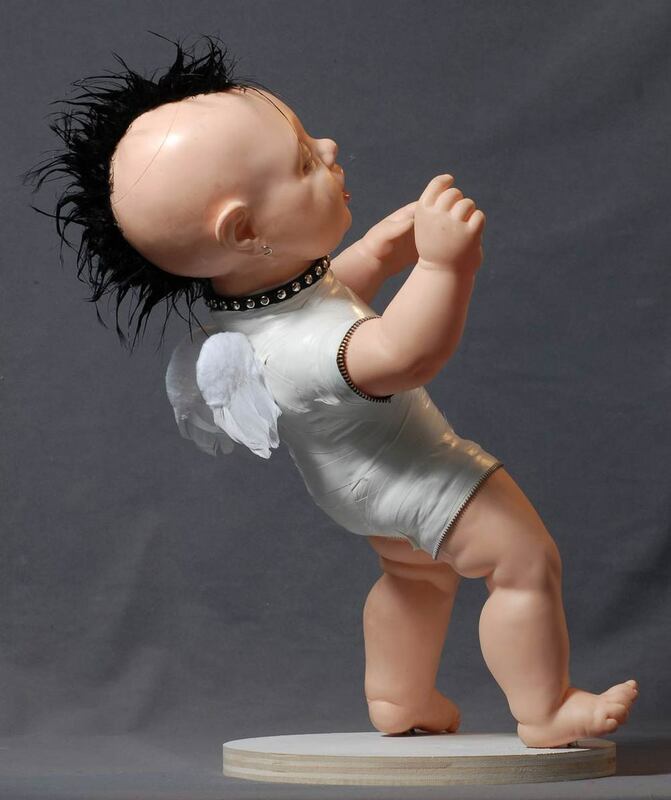 In my work I explore cultural identity and sexuality through images of perverse (yet innocent) dolls. 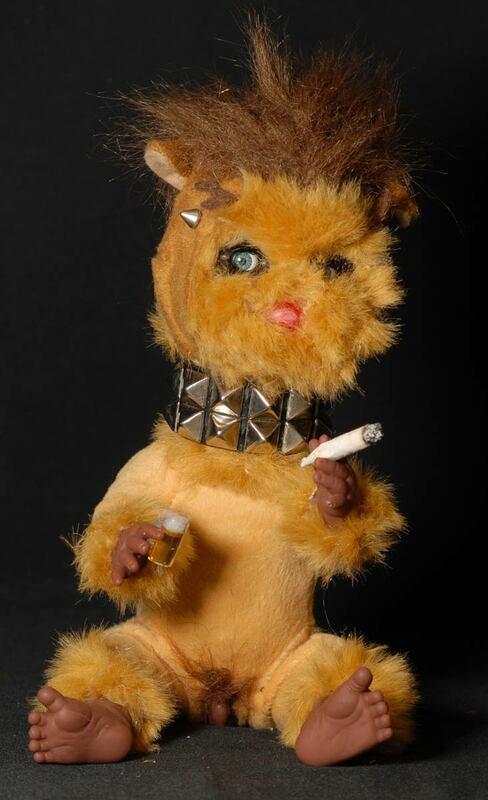 Taking cute and cuddly ready-mades and turning them into fetishistic objects, I construct my work on the intense coexistence of opposite extremes, allowing for multiple interpretations. The sculptures are made from dissembled parts that have been restructured with other found objects. The modifications made to the figures are both visual and electronic; they are turned into robotic creatures with altered functional capabilities. Most of the dolls use a SF04 (or equivalent) sonar sensor and microcontroller. 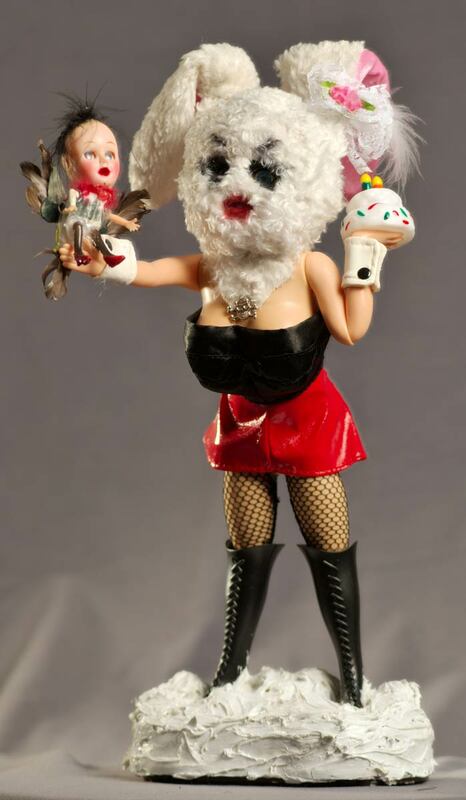 The characters are dolls and toys made from dissembled parts that have been restructured with other found objects. This makes the final works particularly visually provoking—they are both dainty and disturbing, and the viewer is simultaneously drawn in and repelled. 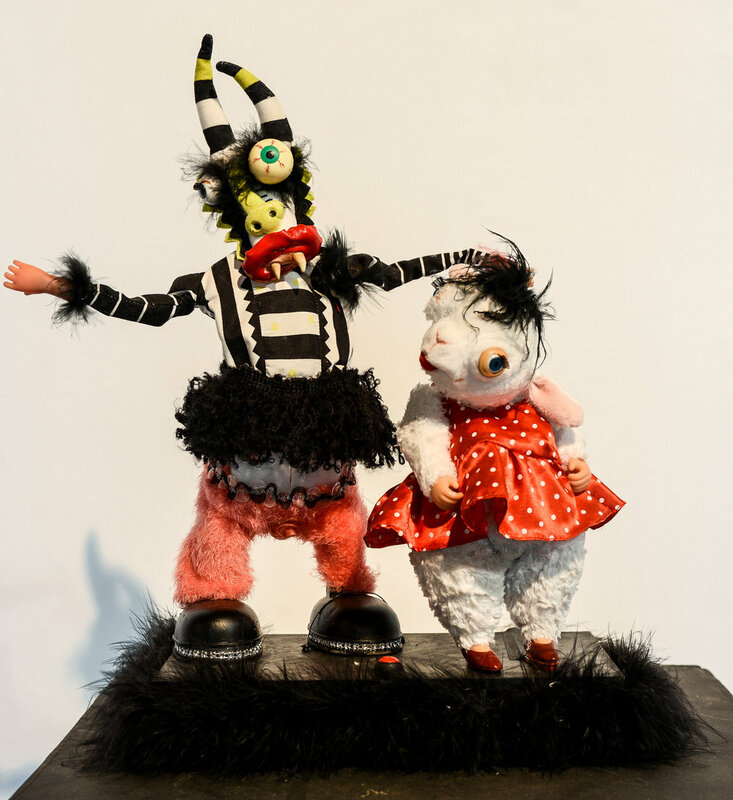 The modifications Lanina makes to the figures are both visual and electronic; she turns them into robotic creatures with altered functional capabilities. Most of the dolls use a SF04 (or equivalent) sonar sensor and microcontroller. 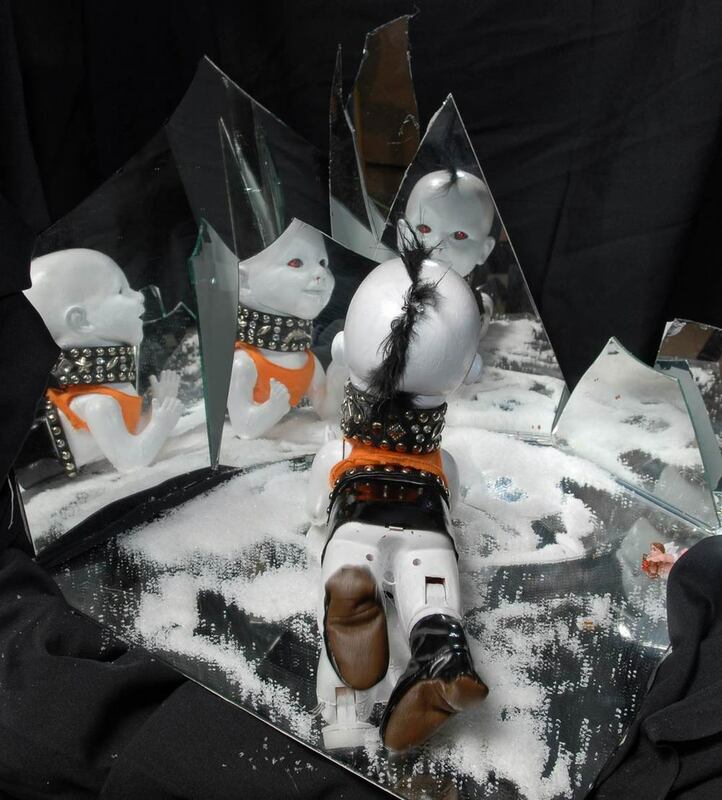 Hungry Ghosts film features some of these dolls. Some of the other dolls participate in films Mishka and Mama.